With a stay at Stylish Station Hotel Kanazawa in Kanazawa, you'll be within a 10-minute drive of Omicho Market and Kanazawa Castle. 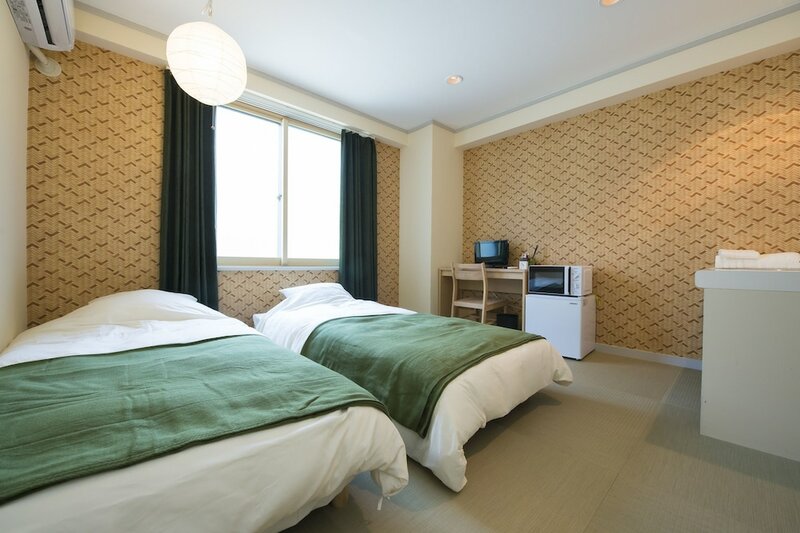 This hotel is 1.8 mi (2.9 km) from Kenrokuen Garden and 0.3 mi (0.4 km) from Motenashi Dome. Make yourself at home in one of the 8 air-conditioned rooms featuring refrigerators and microwaves. Complimentary wireless Internet access keeps you connected, and flat-screen televisions are provided for your entertainment. Bathrooms have shower/tub combinations and complimentary toiletries. Conveniences include desks, housekeeping is provided once per stay, and irons/ironing boards can be requested.